Travis Boyette is such a man. In 1998, in the small East Texas city of Sloan, he abducted, raped, and strangled a popular high-school cheerleader. He buried her body so that it would never be found, then watched in amazement as police and prosecutors arrested and convicted Donté Drumm, a local football star, and marched him off to death row. This book held my interest from the beginning. I find it interesting that Grisham gives us another book about an innocent man wrongly accused. In this novel, the reader comes to know and understand and feel for the main characters, and rightly despise the true murderer. The characters have depth and are driven by their convictions. The only criticism I have is that I wish Grisham would have given the mother of the victim more dimension, because she was presented so singularly, I found it difficult to feel as much sympathy as I wished to, for her and her family. Otherwise, I was engaged and interested throughout this book. Very few authors can keep you feeling so "on the edge" for so much of the book, just waiting as each chapter goes by to see if the accused can avoid execution. The reader finds him or herself waiting for those in power to listen to and act positively on the appeals and motions. I didn't want to stop listening, I had to know what would happen. The ending was wrapped up neatly, maybe a bit too quickly or tidily. Regardless, I liked this book. 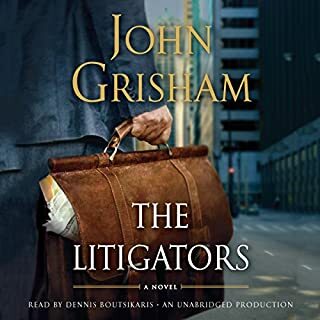 It's good to see John Grisham exploring different aspects of law practice. I liked the fact that this story was not a "beginning, middle, and end" plot, with a giant chase scene at the end. The book is character-driven, not led by the plot, and I prefer that. I disagree with the reviewer who said the book takes forever to "get off the ground", as I was into it from the start. 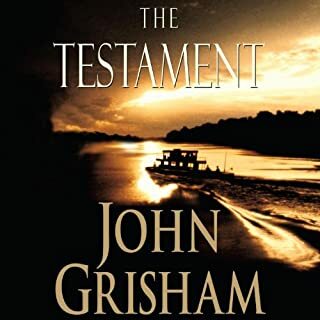 I like Grisham's writing method of gently easing the reader into the story and the situation, rather than starting off running with a big conversation or event where you don't know any of the characters and their contexts. 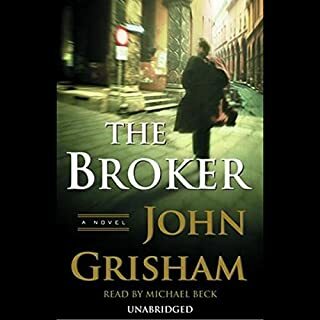 Grisham is excellent at providing context, and the reader never feels as though he/she doesn't really know a character or can't place that character. 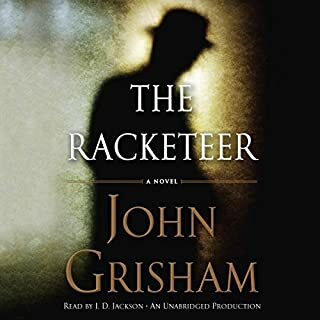 Grisham never gives any superlative qualities to any character, and none is considered more "special" than any other by virtue of looks, income, money, status. 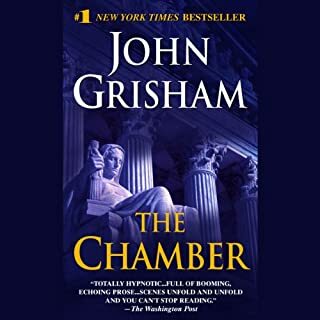 I would like to see Grisham explore different geographical areas other than small towns in the South, but I think that's what he knows best and where he feels most comfortable getting into detail. I don't think Grisham needed access to an execution in order to describe the scene. It would be easy enough to create the details and emotions (but then I am a creative) if your imagination is working 100%. I also liked that the resolution to the story was not of a "perfect world" in which everyone gets a prize. The realistic descriptions of the issues surrounding capital punishment, and the pathos, anguish and gut-wrenching emotional contortions of the principal characters simply added to my interest, rather than detracting. I was never of a mind to comment to myself "oh please stay away from that, it's too painful". I would caution the narrator not to read the female parts in a simulated falsetto. Just makes the women all sound like old "fuddy-duddies". Normally a Grisham fan, but this book was simply boring. It also dripped with liberal politics. I am pretty liberal, but I don't need to be hit over the head with some of the themes in this book. Simply unimpressed. I usually listen to my audiobooks only in the car, but The Confession was so good I couldn't turn it off. Very credit-worthy! The best Grisham in years. Excellent work - - great characters and a real message - - whether you believe in the cause or not. Very well written and the reader is pitch perfect. This book provides a fairly interesting treatment of the death penalty. 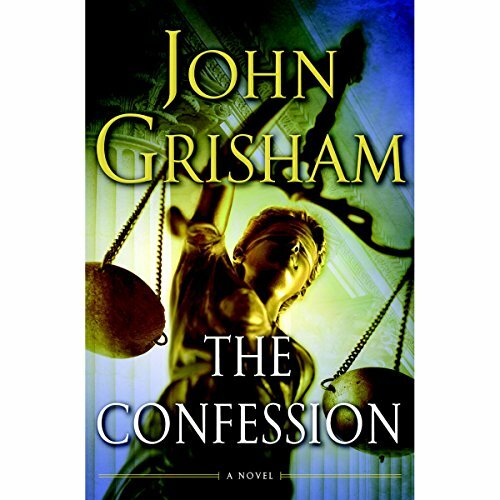 Grisham develops the main characters fairly well, and the plot is interesting and compelling. Grisham books are always smooth and well crafted. I raced through the book, although a few parts seemed to drag just a bit. I think I have heard or read all of Grisham's books, and this one seems a little different. However, I still get each one as soon as it comes out, and I am never sorry that I spent my credits on Grisham. Thumbs up. 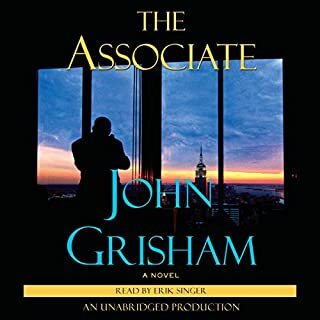 I have been listen to books from audible for three years now and have mostly listen to books by Dean Koontz and Jeffrey Dreaver. This book has opened my eyes to John Grisham and can not wait to get another book. I found myself searching for time to listen and not wanting it to end. Great Listen. As a lifelong conservative and a 21 year veteran of the military, I am finding it more and more difficult to believe how crooked our justice system can be. It pains me to say, but after much discussion, debate and reading stories like this, these do not seem to be isolated incidents. I understand that this is fiction, but a litle research will show that Texas Oklahoma and Alabama are full of these types of cases. Grisham seems to have learned a great deal from the research required to write the innocent man, and that research came in handy for this. Although a work of fiction, there is more truth than any conservative would care to admit! Not up to Grisham standards but still ok. I'm a great Grisham fan, have all of his books and listen to some of them every few years. This one is certainly not my favorite but if you're a Grisham fan I would still recommend it. The story takes quite a while to get going and the fist half reads like a documentary not a legal thriller.